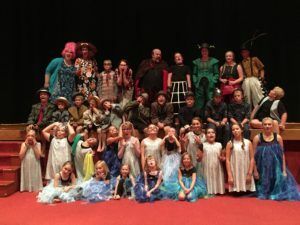 Families and theater enthusiasts from all over the tri-state region traveled to experience two locally produced theater productions. For two weekends of the summer, the theater festival turned Hoxie into a tourist destination, hotels rooms were rented and restaurants enjoyed an uptick in customers. More than 800 people attend the 4 shows and 112 people were involved as performers, stage hands, set designers and in the lighting and sound booth. They came from all over northwest Kansas: Hoxie, Hill City, Colby, Grainfield, Oakley, Selden and Quinter. Friendships were made and have continued.